Finland is a country with 5,4 million people, large forests, thousands of lakes and beautiful landscape. Finland has been traditionally a Christian country where most people have had some connection to a church. Finland is known to be a Lutheran country and according to official statistics 76,4 percent of Finns are members of the Lutheran church. It says something about the heritage, but this number is rapidly declining and that provides a picture about the spiritual state of Finland. In recent years there has been growth in smaller independent churches, mainly located in larger cities. Finnish people have been involved with OM since 1965, the first office was established in 1975 and OM was officially registered in 1977. Operaatio Mobilisaatio (OM Finland) is a member of Finnish mission societies and OM office is located in the heart of Tampere city, next to a university campus. In 2015, OM Finland celebrated it’s 50th Anniversary. During those years over 3000 Finns have served with OM. Ministry is divided in to two parts. Resourcing ministry focuses in raising mission awareness, mobilizing the Church for missions and raising funds. Mission’s side focuses in church planting, reaching out to kids, youth and immigrants. Managing Bus4Life is also part of the missions side. Lähetä Minut (Send Me) : Orientation training for individuals who are interested to join world missions. Friendship First : Course and training for ordinary Christians to share good news with Muslims. Mix Ministries : training and supporting churches to provide activities for least-reached youth. Immigrant integration groups : Helping immigrants and refugees to settle into Finnish society in three different cities. Mentoring: providing support for church planting in Finland. Finnish churches would send more workers abroad. Finnish believers would recognize the least-reached people among them. God would call more workers to Finland. 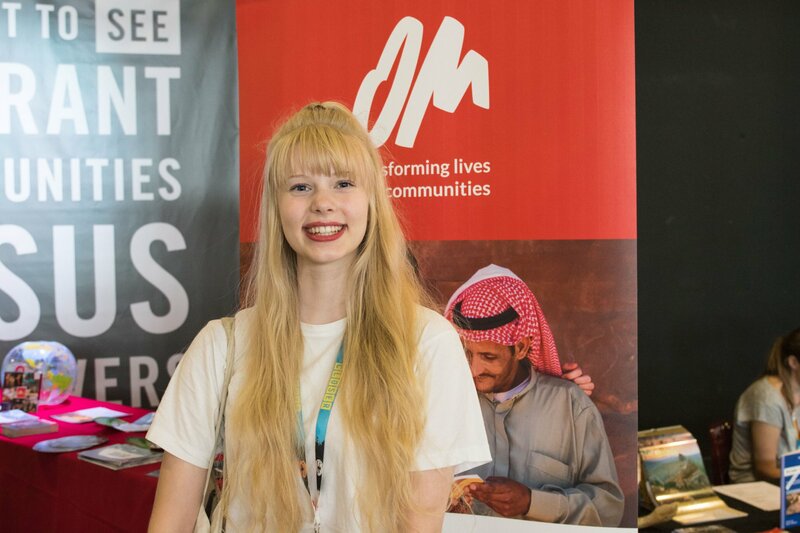 Johanna went to TeenStreet for the first time when she was 14 years old, but the experience impacted her beyond the one-week duration of the event. Bus4Life ministers in Central and Eastern Europe, bringing hope and Christian literature to the region's widespread towns and villages. During the spring and early summer of 2018, Bus4Life visited Hungary, Moldova, and Ukraine.